Item # 290729 Stash Points: 2,195 (?) This is the number of points you get in The Zumiez Stash for purchasing this item. Stash points are redeemable for exclusive rewards only available to Zumiez Stash members. To redeem your points check out the rewards catalog on thestash.zumiez.com. 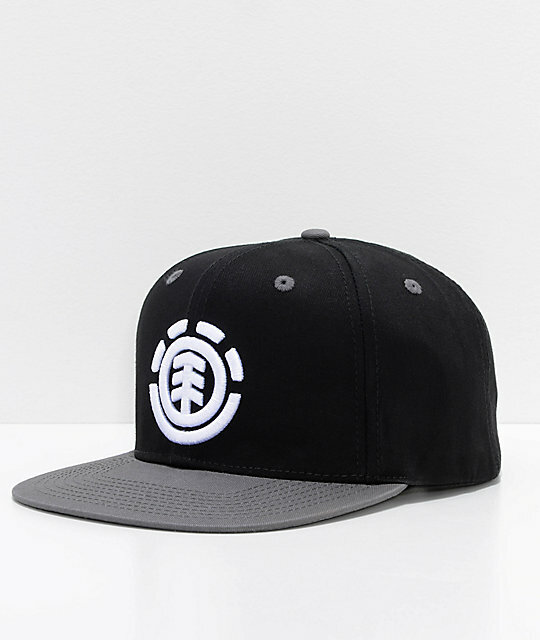 The Element Knutsen snapback hat features a black crown with raised white embroidered Element logo at the front, a flat charcoal grey bill, and a snapback sizing piece so you can get that fit dialed in. Element Knutsen snapback trucker hat. Custom white Element logo embroidered on front. 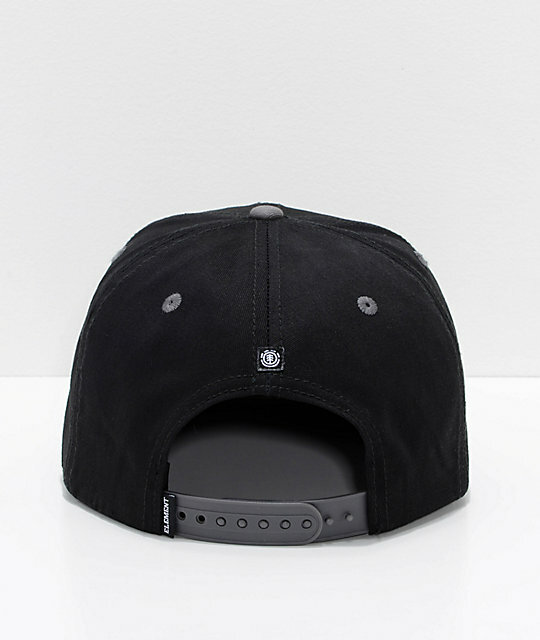 Black crown with charcoal flat bill, top button, and size piece. 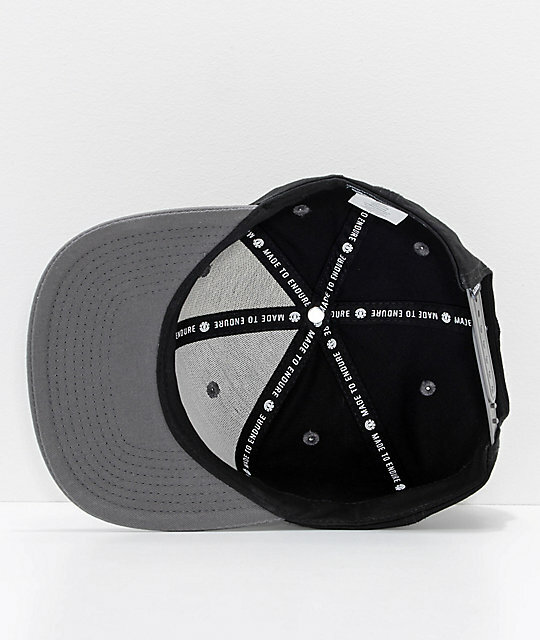 Snapback sizing, one size fits most. Element logo tags on back.